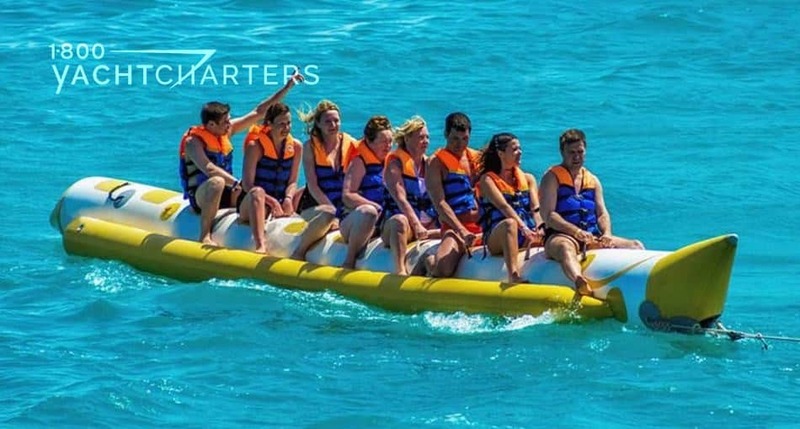 If you are looking for fabulous beaches and a great shopping experience, why not rent a private yacht and go on a St. Martin Yacht Charter? 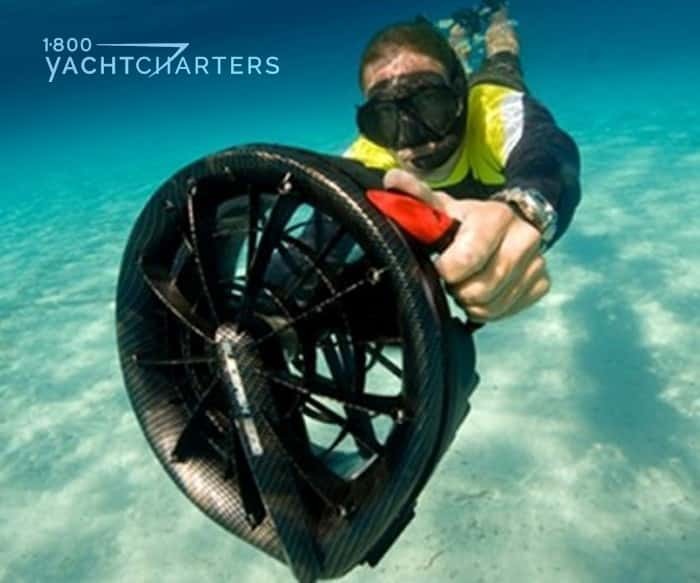 You can do this aboard the magnificent Oceanco motor yacht, Anastasia. 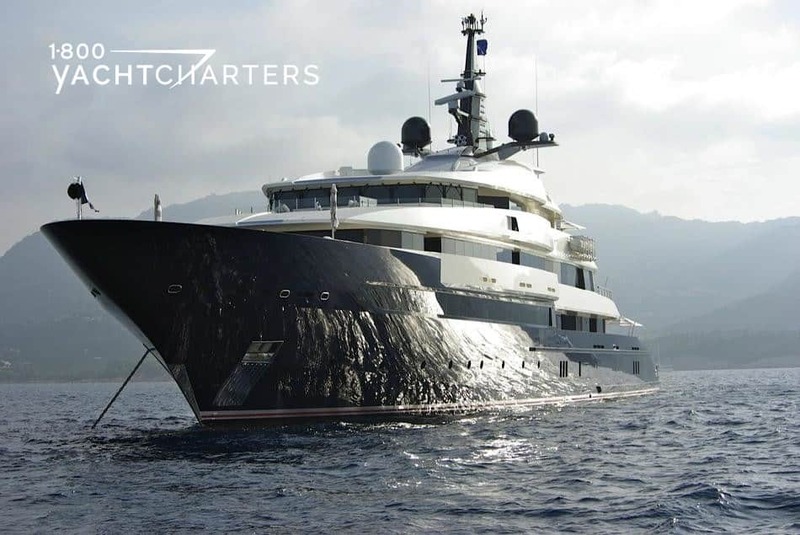 Anastasia is a 75.5 meter luxury super yacht currently available for yacht charters to St. Martin in the lower Caribbean. This large beautiful ship is designed with all the conveniences to ensure that your yachting experience is simply unforgettable. Anastasia’s exterior and interior are sleek yet practical. For instance, some of the highlights include a large sundeck Jacuzzi pool, a disco lounge, a gymnasium, a touch-and-go helipad, and an aquarium. To reserve your private luxury yacht charter, contact 1-800 Yacht Charters by CLICKING HERE now. With the year quickly drawing to a close, it turns out 8 of the 10 were completed and launched on schedule – a testament to their builder’s ability to deliver a yacht on schedule (although only the builder and owner know for sure if the yacht was also delivered, “on budget”). 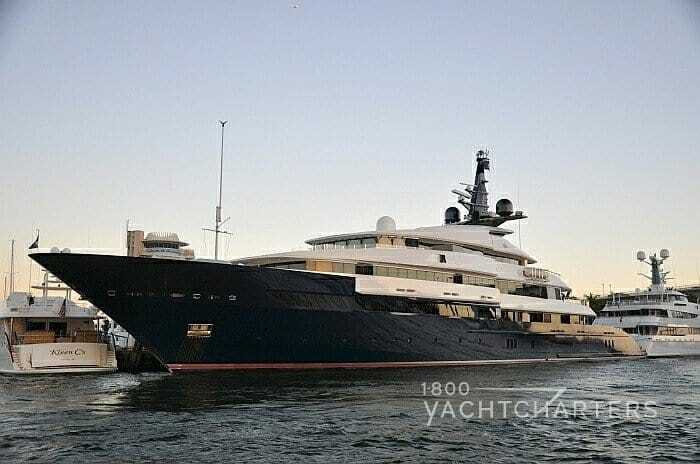 Dutch über-builder Feadship leads the way with three top 100 megayachts, with Germany’s Lurssen Yachts delivering two, including the largest newest yacht launched in 2015 – the 123 meter motor yacht GOLDEN ODYSSEY. Private yacht charter clients might be disappointed that only one of these new yachts is immediately slated to enter the yacht rental market – the Abeking & Rasmussen yacht ROMEA. 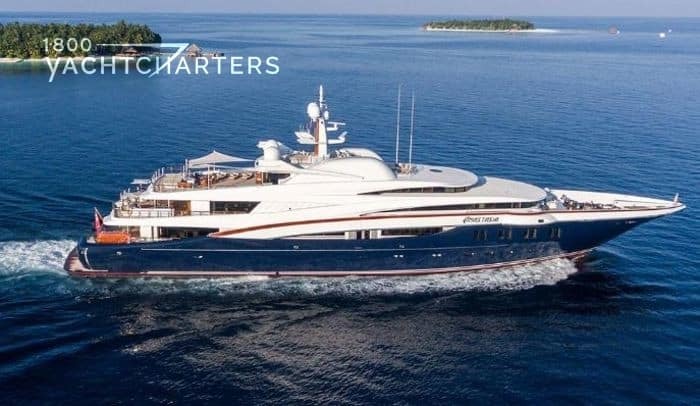 Based in the Med, The Monaco yacht charter vessel has set her 2015 inaugural season rental rate at Euro 875,000 per week [plus running expenses, of course!]. 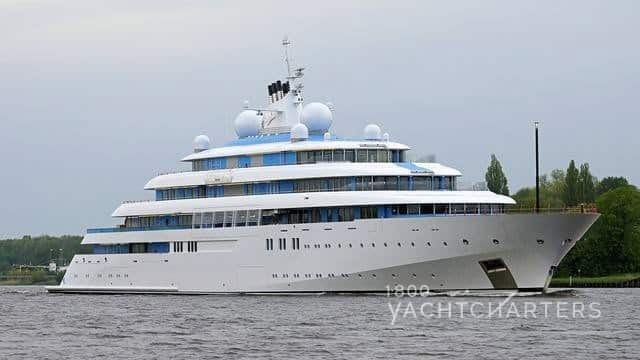 Feadship and Lurssen enthusiasts don’t despair – these builders have plenty of behemoth yachts available for hire, including the 85.10 meter Lurssen yacht SOLANDGE, and the 81 meter Feadship yacht AIR. Check back with us in late January, as we plan to release the list of the 2016 forecast of the newest yachts scheduled to join the top 100 world’s largest yachts! 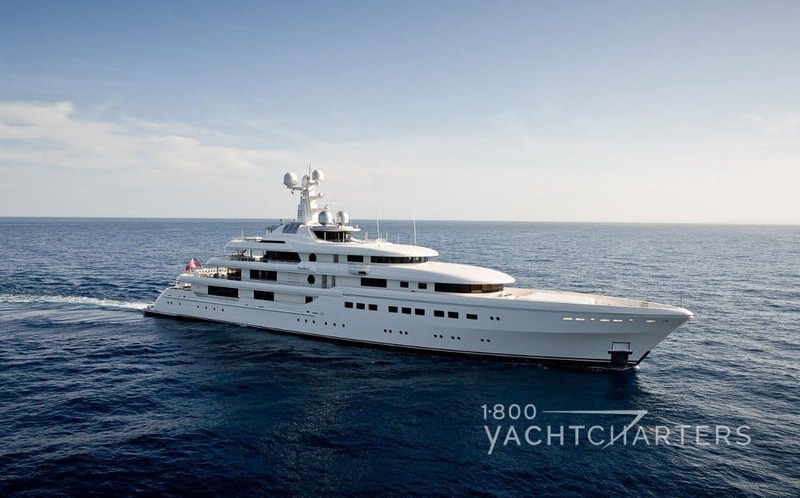 Currently, motor yacht AZZAM is the largest yacht in the world at 180 meters. Can you tell us which fabled shipyard built superyacht AZZAM? Send us an email with the correct answer and we’ll send you a complimentary eco-tote bag from 1-800 Yacht Charters (limited to the first 25 readers who respond correctly). Email us at info@1800yachtcharters.com. Good luck! Let’s face it – some folks don’t like to get wet. We were arranging an Indian Ocean mega yacht charter for a client last week, when the client mentioned that her husband loves to go to marine-themed sea parks like SeaWorld, but doesn’t like to swim. Conversely, the client loves to dive and view the creatures of the sea up close and personal. Leave it to our crack team to find a yacht that caters to both spouses – the 75 meter motor yacht, ANASTASIA. The custom-built Oceanco motor yacht ANASTASIA is truly sports-oriented and versatile when it comes to entertainment and active leisure. Features include a disco, live band stage, a home theater, and a gymnasium with a swimming pool. 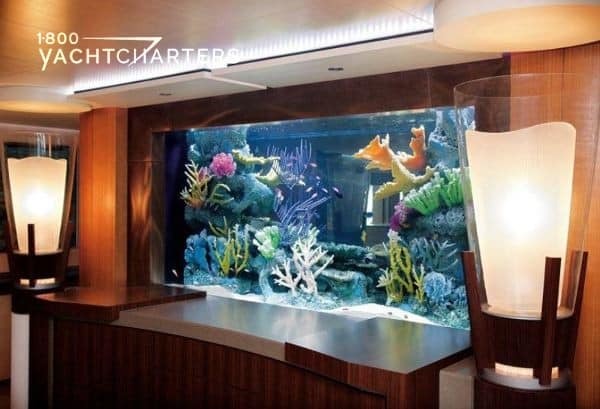 But that’s not all, the yacht’s salon features a stunning 2,700 LITER aquarium with artificial reef and live fish. Onboard fish tank! Clients who prefer to stay dry can still appreciate and view the wonders of the ocean. More action-oriented guests put to use the yacht’s extensive aquatoy inventory. For instance, waverunners, water skis, and SCUBA diving gear. 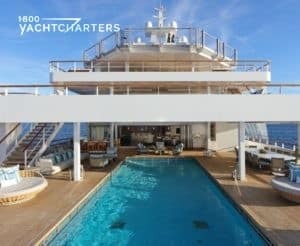 Oceanco yacht ANASTASIA can accommodate 10 guests in two luxurious VIP suites and three double cabins. Rates begin at €650,000 per week. Her celebrity owner used the yacht all summer. On-again/off-again Mediterranean yacht charter superyacht SEVEN SEAS heads to the 2011 Monaco Yacht Show. The show is September 21 through 24. The spectacular 86 meter (280 ft) Oceanco motor yacht SEVEN SEAS has been in the news throughout the summer. Steven Speilberg owned yacht hosted family and celebrity friends, for instance, Gwyneth Paltrow, Blake Lively and Leonardo DiCaprio. 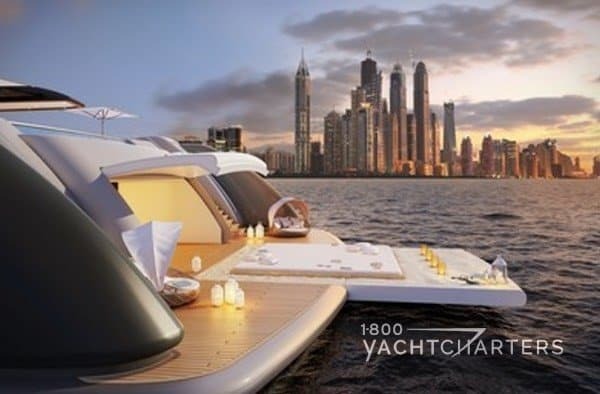 Contemporary styling and modern lines define this elegant yacht. To illustrate, she boasts extraordinary interior volume. Her beam is 14.20 meters. Oceanco motor yacht SEVEN SEAS features accommodations for twelve guests. Accommodations include four large guest suites and two luxurious VIP suites. Oceanco’s signature infinity swimming pool is on the aft deck. 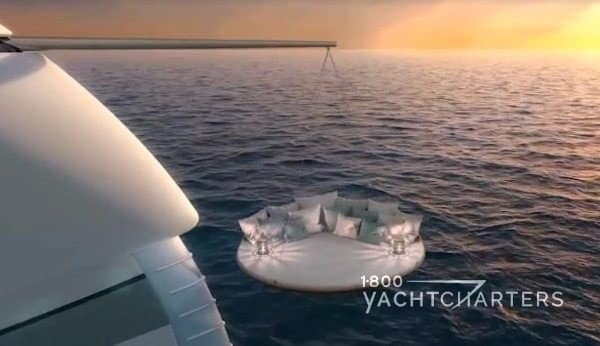 It can be conveniently transformed into a helipad. A favorite innovative highlight of 1-800 Yacht Charters’ President, Jana Sheeder on Seven Seas, is a projector. This throws an image up onto the aft glass wall of the pool. It allows guests to watch movies while swimming or on the quay. The owner has an iconic role in American cinema. He highlights in through his yacht. For example, the main salon has a professional projection system and a 5 x 2 meter screen. These are coupled with two rows of raked seating. The seating can transform into a screening theater. Next to the main salon is a 250m² area. To illustrate, it can host everything from casual al fresco dining to a black-tie Cannes Film Festival gala. The yacht has an extensive list of amenities. For instance, a custom enclosed 10.5 meter limo tender and custom 9.2 meter open sport boat are watertoys. 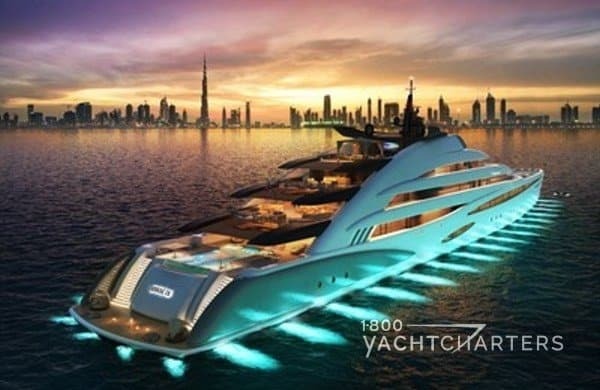 Oceanco is proud to present this magnificent yacht. Her presence at the 2011 Monaco Yacht Show is welcome. Her berth number is slip R01. Above all, visits on board will be by invitation only. Want to attend the Monaco yacht show? Please contact our destination specialists HERE.